Ambassadors, distinguished guests, and friends. I greatly appreciate the opportunity to join you here today. 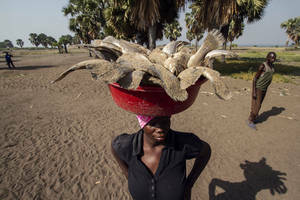 A woman carries fish at a FAO-funded food security project in Uganda.